With many more years to go in the Long War struggle, how do we navigate through the rapidly changing world which is mostly beyond our control? While we cannot back away, we also cannot control. Is there a better way - and how do we more towards a more honest discussion of the world as it is, not how we wish it to be? Join us Sunday, 30 SEP from 5-6pm EST to discuss this and more. We all know the stories about young Sailors who didn't quite find the best woman to fall in love with. First deployment and; the cleaned out bank accounts, the sordid infidelities, the incredibly thoughtless letters, emails, and yes - videos - that are sent to Sailors or are waiting for them when they get home. We know those stories. Over the last week though, I hope many of you have come to know one Sailor's girlfriend, Danielle Kelly. The story of her boyfriend, Petty Officer Second Class Taylor Morris, is Fullbore in itself - but when it comes to what one would think would be the ideal partner for a Sailor - Danielle is Fullbore in her own way. There is a lot of win in this article from BusinessInsider. 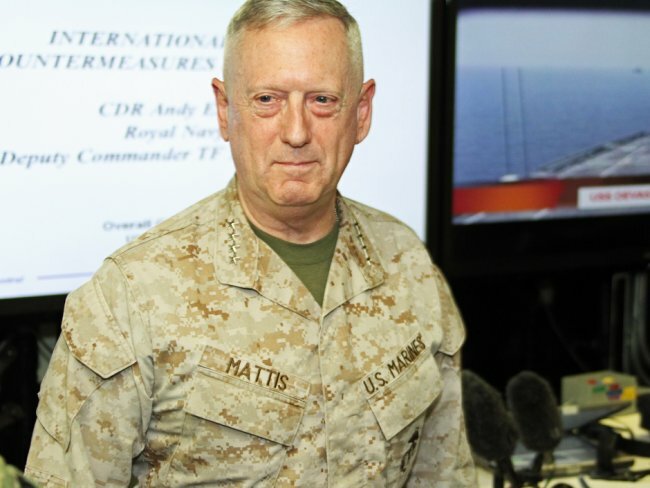 It starts with a little fanboylove from one of the great military leaders of the last 50-years, General Mattis, USMC. 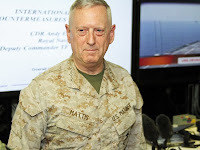 So when our Navy point of contact in Bahrain stepped in to where the media were waiting for its helicopter ride to the USS Ponce, and said General James "Mad Dog" Mattis was suddenly slated to be aboard, the room picked up an energy it'd been lacking in the heat and delay just a moment before. "The Marines on the ground look at Mattis like a superhero," former Marine and BI writer Geoffrey says. "They love him." 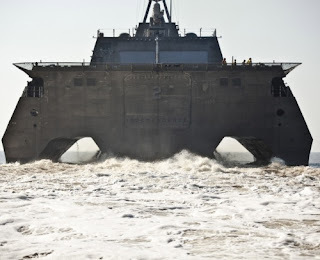 Now listed as an Afloat Forward Staging Base, Interim — the former amphibious assault ship is the first U.S. floating base ever for military and humanitarian operations. These are the things I knew before I arrived on deck of the Ponce early Friday morning packed into a MH-53 Sea Dragon helicopter with about a dozen other people from the media, and a handful of Navy public affairs officers. ... rom what I saw, the military crew is in a state of constant training and readiness for mine countermeasures. From enlisted seamen in the well deck who told me they consistently train with anti-mine hardware, to oceanographers, who hold permanent positions that evaluate data picked up by sophisticated mine sweeping equipment. They do it all on a ship that's more than 40 years old, with what the Ponce's Captain Rogers told us was a modest $60 million worth of upgrades. To build a new ship to do the same thing, the Captain said, would cost billions. Capt. Rogers was good enough to allow us the run of his ship and personally guided us through spaces never before seen by the public. Follow the pictures from there as well. Very nice bit of journalism. Very well done by Robert Johnson. A fair bit of Admiral Nimitz love as of late .... so ... get a cup of coffee, wedge out a half an hour and enjoy. No. Stop. Wait. That is as wrong as two ... well ... you know how wrong that is. This has been well withing the scan of the Navy for a decade and a half at least (just google Common Support Aircraft) or read CAPT Steve Kingston's article from the August 1999 edition of the Naval Institute's Proceedings. RADM Moran is not a a dim bulb or a bu11sh1tter. Perhaps from a programmatic POV, his statement is "inaccurate but correct" but it just adds to an atmosphere of parallel truth that continues to erode the Navy's credibility inside and outside the lifelines of the organization. He gives a nuanced answer about the esoteric Littoral Surveillance Radar System - but whiffs at the C-2 issue? The reason why is simple; RADM Moran is a P-3 bubba. This answer (or lack of it) of his is the result of shifting decisions so far to the right that their history and pedigree is lost in the fog of time. It is about sponsorship, parochialism and the curse of the unsexy but important. How many E-2 and C-2 people over the last decade have held positions of influence at OPNAV N98? Who are the Requirement Officers of that background over the last few years? "Just looking" - no, as an institution we have just once again forced ourselves in to crisis management. Saving a dime now that forces us to spend a dollar tomorrow, and setting up future leaders to have moments of professional amnesia. Hat tip to those who deserve it. The Eisenhower is about 1/3 of the way through its deployment. Thus far, the COD DET has replaced 2 engines- one after diverting into a field for a prop issue. (the root cause was a weak gearbox that cracked open the propeller hydraulic pump housing causing fluid to leak out. Had the engine not been feathered when it was, it would not have feathered fully.) One aircraft has been down for corrosion and delamination of the wing skin for nearly a month. There have been two combine hydraulic system failures that drained all fluid from the system- once shortly after takeoff from the field (with passengers aboard) and the other once the wings spread on the catapult, leaving the aircraft unable to fold its wings, or move its flaps- the required part to fix it was scavenged off the aforementioned corrosion bird. This cannibalization is common, significantly increasing man-hours required to fix aircraft as the part must first be removed from a down bird, re-installed, then the process repeated to get the donor aircraft airworthy. I could continue on about the problems facing the enlisted aircrew, but this post is too long already. The Maintenance crews that work on these aircraft are heroic. For those that talk about the SLEP, it is my understanding that the 2027 life extension applies only to the airframe structure, and not to hydraulic/electric/flight control/AFCS/engine/propulsion issues. 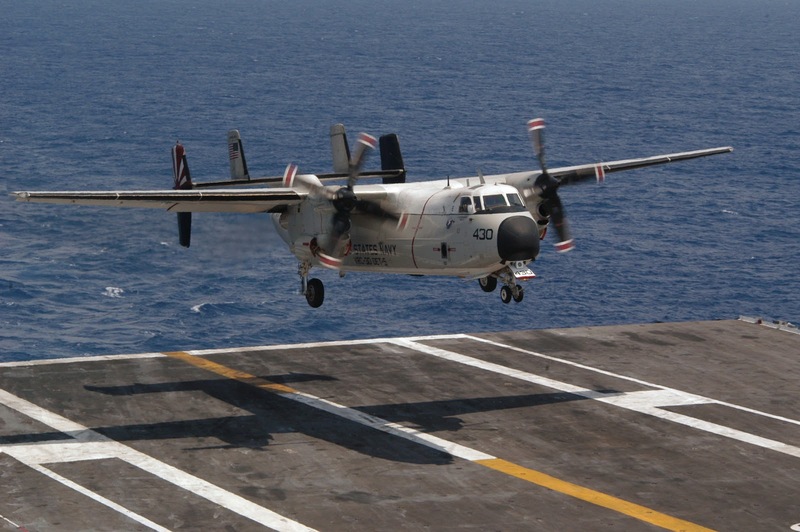 (The E-2 has a slightly upgraded engine with a more sophisticated electronic engine control.) The new propeller and avionics suite are nice, but they are incremental improvements to an aging airframe. As for the V-22, there are three significant problems with it as compared to the COD: lack of range, lack of interior space, and (most importantly) unsuitability for carrier operations. They cannot work into cyclic operations, meaning the hit must be made at a point when there are no flight operations ongoing. It is my understanding they cannot pressurize. They must be landed on the rear of the ship. In short, they function as a larger, faster H-53 which is fine, but it will significantly decrease the usability of the platform and carrier it supports. To modify the existing V-22 for COD missions will be as extensive as creating a C-2 from the E-2D. Also- there's a lot of moving parts in a harsh environment. Does anyone think they will still be as reliable and safe at the C-2's current age? the community can make it work if required, but (in my opinion) there are severe enough drawbacks to justify re-manufacturing the COD. GAO to the Navy: Child Please! A lot ... and I mean A LOT of you are rightly focused on the latest GAO report; Navy Needs to Assess Risks to Its Strategy to Improve Ship Readiness. I think I might have a little revolt on the front porch if I don't post on it; so here we go. It is important reading that will enlighten some, and drive others to distraction. 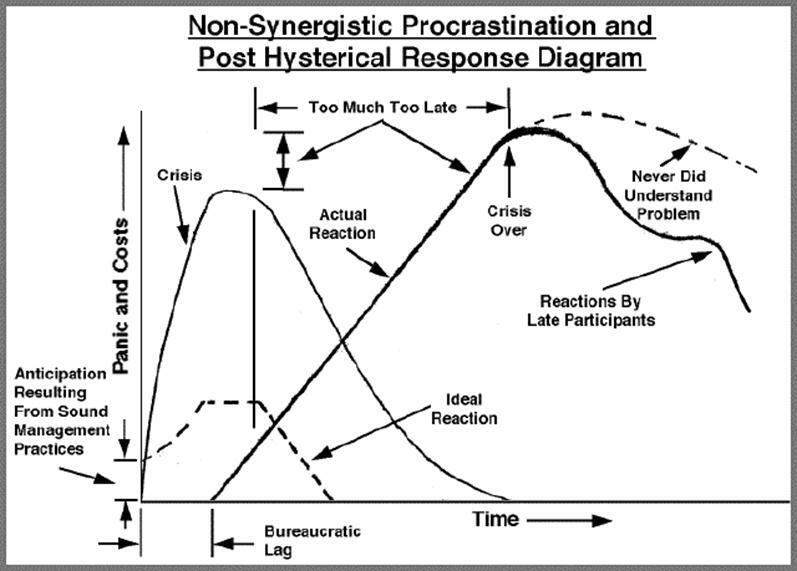 Put me in the second category as it puts out there what many of us have been writing about for over half a decade. None. Of. This. Should. Be. A. Shock. It. Was. Predictable. By. Any. Honest. Objective. Overview. Of. The. Direction. Our. Leadership. Was. Taking. Us. In 2010, a Navy report found that the material readiness of its surface force had declined over the previous ten years and was well below the levels necessary to support reliable, sustained operations at sea and achieve expected ship service lives. Among other things, the report found that the declines in material readiness were attributable to reductions in the number of assessments and inspections, deferrals of scheduled maintenance, and reductions in the length of major repair periods from 15 to 9 weeks. Good stuff here for review. You know that little buggabear about technology risk we were yammer'n about WRT LCS, DDG-1000 and others? Well, that is just part of a larger problem we have in talking about and mitigating risk. A culture steeped in happy-talk does just that - avoids talking about risk. This is a cultural problem. ... the Navy has not undertaken a comprehensive assessment of risks to the implementation of its strategy, nor has it developed alternatives to mitigate its risks. 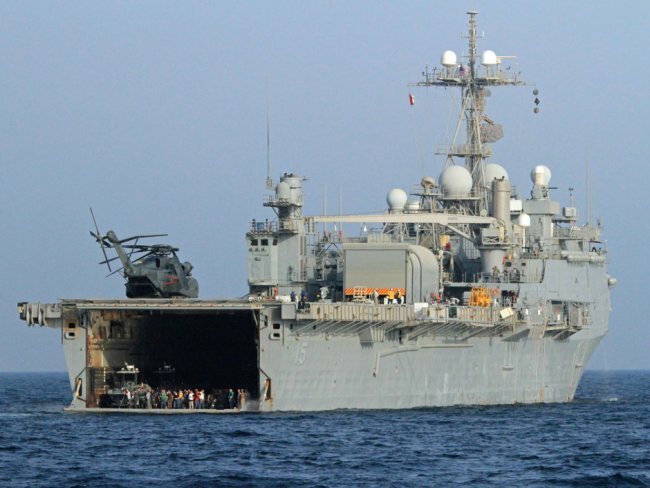 From 2010 to March 2012, INSURV data indicated a slight improvement in the material readiness of the surface combatant and amphibious warfare fleet, but over that period casualty reports from the ships increased, which would indicate a decline in material readiness. This can also be read that improvements are the RESULT of more CASREPS, but it can also be the fact that we are running ships hard and have fewer people in ship's company that can fix things themselves; maybe both? 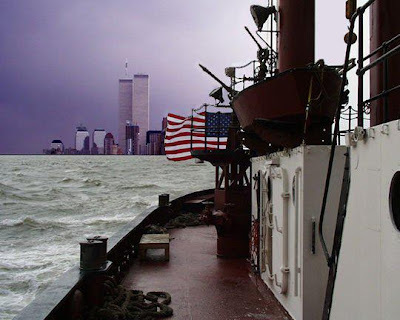 First things first; our Navy owes LT Chris Carter, USN an apology. 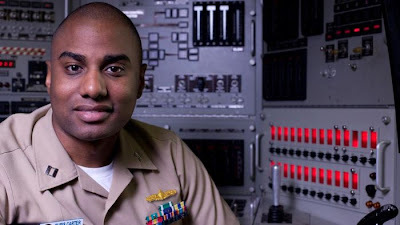 LT Carter worked very hard to be a Submarine Officer. That is no easy task by any stretch. Nothing against the Surface community, natch, but really people. Don't take away the man's dolphins. Here is the screenshot for the http://www.navy.com/careers/engineering-applied-science/surface-warfare-officer.html page. Why take someone who has a ligit accomplishment and turn him in to a Potemkin SWO? This is what I really want to know. Who decided that they wanted THAT officer to represent the Surface community SO much that they were willing to take the chance that someone would notice that the supposed SWO is sitting in front of a Ballast Control Panel in some training facility? Who was the person who was told, "Ummmm, that guy is a submariner - look at his warfare pin." and then said in reply, "I don't care. Get a photoshop geek to make that man a SWO." ? Seriously. No good SWO-Daddy pics out there? Had to steal from some geeky 1120? As if SWOs needed something else to be insecure about. Who was it that made this call? Why did they make the decision to do that arguably not that bad of a photoshop job? 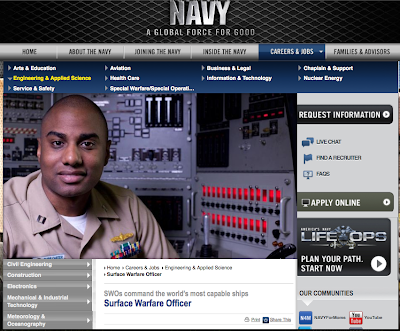 Why did they think that would be an appealing picture to motivate someone to be a Surface Warrior? Seriously? For those who want to get the full glory of the $.02 photoshop; here is a good PNG of the pic. Zoom in, it ain't that bad really. Chris, shipmate - until they move your pic, every SWO owes you free beer. Thanks to my friend Perry & his buds over at FB for sending this my way. UPDATE: Need a SuperSWO pic? Here you go. I had heard about the new CFFC's brief - but until you see it, you can't really understand what those subjected to it are talking about. Style? Substance? "Atmospherics?" What are the most important parts of an effective brief - especially from a senior officer? Hard to say - but having seen Admiral Gortney's brief to the Fleet, I think it is safe to say he failed on all three. For starters, the jumbled and patched together format. Editing errors. Background pictures of things not even in the Fleet anymore. That is just the style. There is also an inappropriate level of detail here for a 4-star IMAO, and it is WAY too long. Go through the brief and see for yourself. I actually feel bad for him, as he has unquestionably lost some face out there with this brief. My first instinct is to ask, "Where was his personal staff?" Did the Chief of Staff or at least his Flag Secretary get an eye on this brief? This PPT only made it on the screen for one of a few reasons. Either his Staff saw it but didn't see a problem; saw the problem but did not feel that bringing it to NOO's attention was a good idea; N00 refused to share his brief with his Staff ahead of time. Any of the above is bad. A Staff's job is to make the Admiral look as good as possible from a superficial basis at a minimum, and improve the substance as well. Norfolk, we have a problem. The Great Green Fleet? Bah! I will trade you all your fuzzy-headed Gaia-goobers for a gaggle of pocket-protector, high-water, short-sleeves-with-a-tie every day of the week! I had to read this twice to realize that ... well ... you read it twice. Scientists at the U.S. Naval Research Laboratory are developing a process to extract carbon dioxide (CO2) and produce hydrogen gas (H2) from seawater, subsequently catalytically converting the CO2 and H2 into jet fuel by a gas-to-liquids process. "The potential payoff is the ability to produce JP-5 fuel stock at sea reducing the logistics tail on fuel delivery with no environmental burden and increasing the Navy's energy security and independence," says research chemist, Dr. Heather Willauer. Sure, you can read it all ... but you will have to figure this stuff out and it makes my Liberal Arts nogg'n hurt. In the first step, an iron-based catalyst has been developed that can achieve CO2 conversion levels up to 60 percent and decrease unwanted methane production from 97 percent to 25 percent in favor of longer-chain unsaturated hydrocarbons (olefins). In the second step these olefins can be oligomerized (a chemical process that converts monomers, molecules of low molecular weight, to a compound of higher molecular weight by a finite degree of polymerization) into a liquid containing hydrocarbon molecules in the carbon C9-C16 range, suitable for conversion to jet fuel by a nickel-supported catalyst reaction. Ummmm OK. I don't care .... you can oligomerize my olefins all day long and Saturday if you can make fuel out of salt-water. Take every red cent from the Green Navy and throw it at the NRL geeks. Making fuel from seawater? Yea - you read that right. Now, if our geeks can take what they have now, operationalize it, and then get even a little bit of Moore's Law going ... then yea. Ponder that writ large. No, I haven't and I won't blog about "it." Mostly because I don't like supporting bad behavior. How Do You Say, "To H311 With You" in Arabic? I, Sal, do solemnly swear that I will support and defend the Constitution of the United States against all enemies, foreign and domestic; that I will bear true faith and allegiance to the same; that I take this obligation freely, without any mental reservation or purpose of evasion; and that I will well and faithfully discharge the duties of the office on which I am about to enter. So help me God. Very well. Here we go. As Americans - there are a few very clear, precise lines that we must defend. We are not a nation based on ethnicity or long history. No, we are a nation based on ideas - ideas that bind us together with a contract founded on the best concepts of The Enlightenment. If we throw away those things that bind us together - then in short order our nation will no longer exist - as it will have broken its contract with itself and will have no reason to exist. Not exist, BTW, as in break up. Something worth defending, methinks. One concept that is part of that foundation is not unique to the USA - as it is in general a core concept of any modern society - but it exists almost in its purest form here, by design. It is freedom of speech, as outlined in part of said contract; Ref a. Some may quibble, but I won't. Too many people have given too much to try to keep the boot off the neck of free will for the very short time in human history is has been off. If you don't like me when I get fussy, please stop reading now and go away and read something else and come back tomorrow. These retrograde forces are so intellectually stunted and insecure they cannot handle freedom - and they are not getting shy about it. It threatens their culture - one that cannot survive the follow on question. One that is so fragile, that it cannot it can only emote - devoid as it is of any type of introspection. This that part of the world we have spent hundreds of billions and thousands of lives to try to help bind them to the modern world. A modern world that they have contributed nothing to of any substance. Without the West, they would have nothing but their backwardness. Success? Well ... not content to wallow in their own ignorance - they want to pull everyone back in to their sty. You insecure little Saudi man. To h311 with you. In the wake of anti-America protests in many parts of the world over an anti-Islam film, the US needs to rethink about its concept of free speech, Foreign Minister Hina Rabbani Khar said. “It is not good enough to say it’s free speech, it should be allowed. I think if this does provoke action against American citizens or Americans anywhere else in the world, then maybe we do need to rethink how much freedom is OK,” Hina told CNN in an interview. “Is freedom to the extent of harming lives also OK? So, I think we need to find a way to manage this in a civilised manner in trying to bring all of our, you know, all of our minds together,” Hina said. “I think what we need is more tolerance for each other’s views. What we need is to be able to give mutual space for us to be able to demonstrate what is culturally, religiously important to us and not to hold each other, not to judge each other for that. “To give that space and to be able to create some space for ourselves. And really we have to be sensitive to religious sensitivities,” she said. You pathetic Pakistani woman. To h311 with you. We need to say the same thing - in English will do - to our fellow Americans who also don't get it. In fact, so grave is mockery of the prophet considered, that the cleric – Mohammad Qatanani, who leads one of the largest mosques in New Jersey – even believes free speech that criticizes Islam poses a national security threat to the U.S. and that those responsible should be investigated by the Department of Homeland Security. “We, as Americans, have to put limits and borders [on] freedom of speech,” Qatanani, leader of the Islamic Center of Passaic County (ICPC), told TheBlaze. He explained that while Americans may ”have the freedom“ to speak their mind, ultimately, they “have no right to [talk about Muslim] holy issues“ as it will incite ”hatred or war among people.” Qatanani said he thinks agitators who slander Islam, or, more specifically, the Prophet Muhammad, incite violence and hence, pose a national security risk that threatens the safety of Americans at home and abroad. Thus, America should disregard its First Amendment as it is typically applied and instead act in accordance with sharia law for the ultimate “good” of society. Mohammad (peas be upon you) - to h311 with you. Are you speaking out on behalf of the filth that comes out about Jews? Hindus? Christians? No you're not. Therefor, you are just practicing soft jihad. So, to h311 with you. Apparently leaders of the Islamic world present a non-negotiable demand to the West that they be given a blank check for their governments to defame Jews, Christians, and Americans, but the United States must condemn any private individual who, quite apart from the knowledge of the U.S. government, does the same to Muslims. That is the issue, and anything less than an unapologetic defense of free speech is not only a betrayal of our Constitution, but a very dangerous concession that will only incite more violence in the near future. Unfortunately, Western hedging, appeasement, and apologies to theocrats and authoritarians have never won gratitude, but instead such magnanimity is seen as either weakness to be exploited or proof all along that the apologizer admits culpability and will do so again in the future — a fact well known to history’s thugs, big and small, whether Hitler, Stalin, Mao, Osama bin Laden, or Mahmoud Ahmadinejad. Let me see ... what can I do to just throw some salt in to all this ... something cliche ... oh wait - here we go. Wait .... we need more. Somewhere there is a joke here. What does an officer do with the opportunistic "white space" the Navy can provide you in your career path? What does a curious intellect with an operational mindset need to look at doing to meet both? What are some of the demands and opportunities out there who want something a bit different in their career path? Sunday, 24 SEP from 5-6pm EST to discuss this for the full hour, as well as a bit about the last props on the carrier deck, will be Captain Herb Carmen, USN. CAPT Carmen is Naval Aviator with over 4,000 flight hours in the E-2C Hawkeye and C-2A Greyhound, previously commanding the VAW-116 "Sun Kings." He is an Executive MBA student at Georgetown University McDonough School of Business, and he was previously a senior military fellow at the Center for a New American Security. His views are his own and do not represent the Department of Defense or the United States Navy. It is your squadron; your aircraft; your Marines - and they are under attack. What do you do? Simple - run to the sound of gunfire and fight with what you have. That is it. In one moment. The Department of Defense on Monday confirmed Lt. Col. Raible's death and that of another Marine, Sgt. Bradley W. Atwell, 27, of Kokomo, Ind. ... Late Friday, 15 heavily armed insurgents dressed in U.S. Army uniforms split into three teams and stormed British-operated Camp Bastion, which is connected to an American-run base known as Camp Leatherneck. The Taliban fighters penetrated the perimeter and attacked the shared airbase, destroying six Marine AV-8B Harrier jump-jets and damaging two others. It was the worst loss of U.S. military aircraft since the Vietnam War. The Taliban also damaged some hangars and destroyed three refueling stations. Nine coalition personnel were wounded in the attack. Coalition forces killed 14 of the insurgents and took one captive after wounding him. ... After qualifying in the Harrier AV-8B in September 1999, Lt. Col. Raible was assigned to Marine Attack Squadron 223 in Cherry Point, N.C., and later participated in Operation Enduring Freedom aboard the USS Bataan. In 2005, he deployed in support of Operation Iraqi Freedom at Al Asad Air Base in Iraq. From July 2006 to August 2009, Lt. Col. Raible served as an instructor pilot at Marine Aviation Weapons and Tactics Squadron 1 in Yuma, Ariz., and deployed several times to Japan and Iraq. He was later promoted to commander of Marine Attack Squadron 211 based in Yuma, where he left behind his wife, Donella, and their three children, ages 11, 9 and 2. UPDATE: I've expanded on my thoughts over at USNIBlog. Visit and read what a good Command Guidance looks like. The US Coast Guard Academy used to be a meritocracy, as it had a directive not to discriminate against people on the basis of race, creed, color, or national origin. As we discussed at the time, that would not do for the (D)iversity Bullies - and as the Democrats were leaving power in the House, Rep. Cummings (D-MD), took that out. Yes, the once great civil rights advocate changed the law to support discrimination. Of course, they just said they wanted to increase opportunity. We know that isn't right, that is not what the story is. I'll let them speak for themselves. ... equity of outcome must be the benchmark by which we measure our success. The only way to do that is to discriminate against one group, and actively discriminate for others. As by their actions and "accountability reviews," we know what they measure; race and ethnicity. Therefor, you have a government institution who openly and proudly state their plan to act in a racialist manner. Retrograde racialist theory in action - and you're paying for it. Shame on the USCG. It has been too long since I have blogged about one of the most impressive women of our time, Ayaan Hirsi Ali. Utopian ideologies have a short lifespan. Some are bloodier than others. As long as Islamists were able to market their philosophy as the only alternative to dictatorship and foreign meddling, they were attractive to an oppressed polity. But with their election to office they will be subjected to the test of government. It is clear, as we saw in Iran in 2009 and elsewhere, that if the philosophy of the Islamists is fully and forcefully implemented, those who elected them will end up disillusioned. 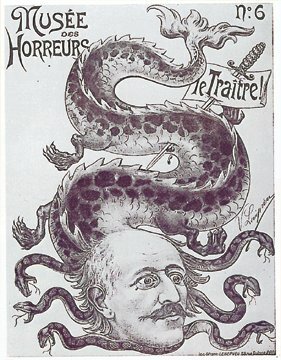 The governments will begin to fail as soon as they set about implementing their philosophy: strip women of their rights; murder homosexuals; constrain the freedoms of conscience and religion of non-Muslims; hunt down dissidents; persecute religious minorities; pick fights with foreign powers, even powers, such as the U.S., that offered them friendship. The Islamists will curtail the freedoms of those who elected them and fail to improve their economic conditions. After the disillusion and bitterness will come a painful lesson: that it is foolish to derive laws for human affairs from gods and prophets. Just like the Iranian people have begun to, the Egyptians, Tunisians, Libyans, and perhaps Syrians and others will come to this realization. In one or two or three decades we will see the masses in these countries take to the streets—and perhaps call for American help—to liberate them from the governments they elected. This process will be faster in some places than others, but in all of them it will be bloody and painful. If we take the long view, America and other Western countries can help make this happen in the same way we helped bring about the demise of the former Soviet Union. We must be patient. America needs to empower those individuals and groups who are already disenchanted with political Islam by helping find and develop an alternative. At the heart of that alternative are the ideals of the rule of law and freedom of thought, worship, and expression. For these values there can and should be no apologies, no groveling, no hesitation. Sarah Chayes's heart has always been in the right place, and more than anyone else, she warned the general public about the Karzai problem years before others in her book The Punishment of Virtue . Especially for an author and journalist, her latest article is a great disappointment, and she is as wrong as a person can be. ... "Innocence of Muslims," the film whose video trailer indirectly led to the death of U.S. Ambassador J. Christopher Stevens among others, is not, arguably, free speech protected under the U.S. Constitution and the values it enshrines. Is Monty Python now illegal? Do we put Andres Serrano and Chris Ofili in jail? No, of course not. Freedom of speech as defined by our Constitution is specifically designed to protect the politically provocative - and Islam is as political as religions. We have the right to be offensive; we don't have the right not to be offended. To support Sharia-by-proxie, as Sarah suggests, is to back away from the fruits of The Enlightenment and to slide back towards the retrograde forces of the Dark Ages. Aggressive Islam is, in a fashion, a bully - a fascist movement. There is only one response that works with both; lean forward and hit them back harder, don't go submissive with them - it only makes them worse. Sarah, freedom isn't free, it isn't painless, and it isn't easy - but it beats the easy passivity of dhimmitude. So, Who Has the Branch Plan? Since DEC of 09, you've read my stuff about this - no need to repeat it again. After President Obama's West Point speech of 2009, many of us told you this was a distinct possibility. 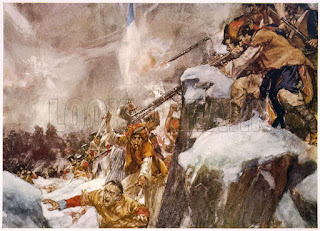 Operational Planning 101, a couple thousand years of written military history, and the cultural norms of the Pashtun told anyone who was listening where the smart money was. They will not let us retreat in peace. After all, that is not how it is done. The weak horse must be treated as such, natch. The US military today suspended most of its combat patrols with Afghan forces as the green-on-blue, or insider attacks by Afghan security personnel on Coalition troops, continue to spike. The training of Afghan forces and their partnering with US troops has been the cornerstone of the Obama administration's strategy to hand over security to the Afghans as the US completes its withdrawal by 2014. "The order effectively suspends 'until further notice' most of the operations which US and Afghan troops conduct side by side," CBS News reported today. "At higher headquarters, Afghans and Americans will still work together, but in the field small unit operations putting Afghan soldiers alongside Americans ... will be suspended unless an exception is granted by a commanding general." Behold the fruits of a calendar-based Plan, AKA orderly retreat. According to The Long War Journal's Special Report, Green-on-Blue attacks in Afghanistan: the data, insider attacks account for 15% of Coalition casualties so far this year. There have been a total of 60 such attacks on Coalition forces since 2008, and they have occurred in 18 of Afghanistan's 34 provinces, with the vast majority of the attacks taking place in Helmand province (17 attacks) followed by Kandahar province (9 attacks). Since 2008, insider attacks have killed 119 Coalition troops and affiliates and have wounded 98. The number of attacks has spiked since 2008, starting with 2 attacks reported in 2008; to 5 in 2009; to 6 in 2010; to 15 in 2011; to 32 in 2012. The steep rise in attacks parallels the increased pairing of Coalition troops with Afghan forces in training and mentoring situations, and occurs as the overall number of Coalition troops is sharply declining due to the planned transfer of Afghan security to Afghan forces by 2014. It did not have to end this way, we had a solid conditions-based plan - but we elected people with no knowledge of military history, mal-advised, and were enabled by uniformed leaders who forgot their Sheehan and McMaster ; too comfortable in their positions of power and influence. Building off the previous post from last night, does anyone really believe this statement? ... US Secretary of Defense Leon Panetta dismissed the green-on-blue attacks as the "last gasp" of the Taliban. No it's not. It is to ensure that we leave under fire - that we are defeated; and that they get credit for it. The enemy has some good operational planners too. We have thrown this away. Remember the Scene from The Sand Pebbles? The one where all the little boats with the banners and flags were around the gunboat? Well, that is what came to mind when I saw the pic on the right. Chinese national media has reported that roughly 1,000 fishing boats have set sail from mainland China are due to arrive in the waters surrounding the disputed Senkaku/Diaoyu Islands before the end of Monday. Having departed from several coastal provinces like Fujian and Zhejiang, this act could be endorsed by Beijing as one of the largest oppositions against Japan and its government’s nationalization of the disputed territory. Should the large number of Chinese fishing boats enter Japan’s territorial waters, they will undoubtedly encounter the patrol ships of the Japan Coast Guard. There is a big difference between "being diplomatic," optimistic spin, and just plain lying to your face. When working around difficult subjects, the first two are acceptable artistic forms, but the artist needs to be very careful not to drift, when things get too hard, in to the third - especially when you find yourself ear-deep in facts. Ambassador Rice simply does not come of well in this exchange with NBC. Not at all. As a side note, I think we have a random act of journalism here by NBC. Congrats! Where is my magic wand so I can make this so? Where did I put it? 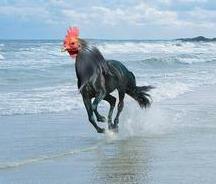 CHHHIIIEEEFFFF! U.S. Rep. Duncan Hunter said Friday that the Navy should consider building fewer littoral combat ships and use the savings to construct amphibious warships that could support the operations of the Marine Corps. “There is a shortage of amphibious ships; this is one of the most glaring gaps in the Navy,” said Hunter, an East County Republican who served in the Marines and deployed to Iraq and Afghanistan. Hunter, who has been a critic of the program, said Friday that the Freedom-class ship appears to be a great platform for special operations, and that the Independence class appears to be good at minesweeping and other types of missions. But he expressed doubt that 55 ships are needed. OK. Let's kill it at no more than 30 and go with PLAN HUNTER. I've gotten so used to the Left's anti-Jewish habits, that I mostly just shrug my shoulders as simply another episode of Scorpion & Frog. This is a slow one down the middle. The Jew as snake has a very long history - recent past and present. For over a decade, "neocon" has been argumentative shorthand used by the Left for "conservative Jew." Full stop. 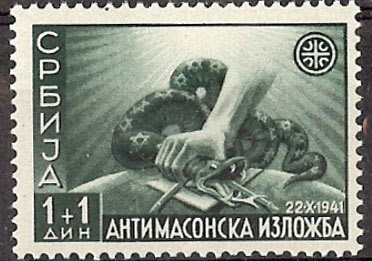 "Slither" - well, anyone who even has a paper-thin reading of the history of anti-Jewish propaganda can understand that. Left, right, and center - this is simply a fact of the new lexicon. It isn't the fact that the home of anti-Jewish filth is on the Left - after all, after "National," there comes "Socialist" - that is so interesting about this; no, what I have found most interesting is the fact that smart people are trying to cover for Maureen by thinking the rest of us are so stupid. Andy Rosenthal, the editorial page editor of the New York Times, is dismissing criticism that Maureen Dowd's column peddled anti-Semitic imagery. "No fair-minded reading of Maureen Dowd's column supports the allegations you and others are making. She makes no reference, direct or implied, to anyone's religion,"
I'm sorry - that doesn't wash. Not even close. Then again, the sign of a real bigot is when their bigoted words and concepts just flow out in daily conversation. When they get in trouble is when they forget what company they are in. Maureen, you need to just admit you "chose your words poorly" and then new friends. Andy, it might be time for you to reflect how much of an echo chamber you live in. Get out some. Yet for all of Obama’s coolness he is hardly a man of substance and that is where Harper has the anointed one beat, hands down. Where Obama talks about fixing the U.S. economy, Harper has actually taken steps to strengthen Canada’s. 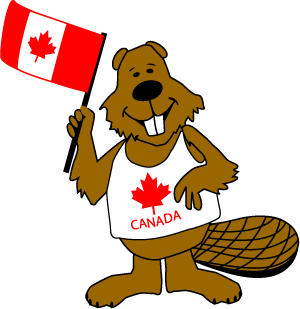 The Canadian employment rate is 7.3% right now compared to 8.1% in the U.S., although as Harper himself and several economists have noted, if the Americans measured unemployment the same way we do they would be in the double digits. I still argue the Harper government spends too much and should balance the budget sooner, a point on which Harper disagreed with me. “Our first objective is not balancing the budget, our first objective is to make sure the Canadian economy keeps growing,” Harper said. Fair enough, that’s a point we could debate. What can’t be debated is that for all of Canada’s economic problems, the U.S. is much worse off. 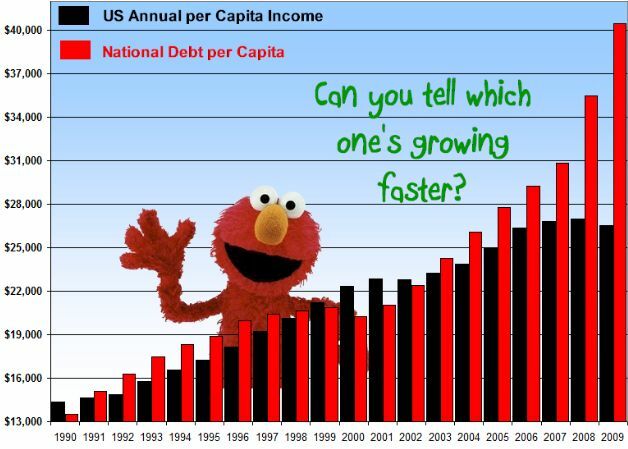 The U.S. federal government debt is worth more than the entire U.S. economy and neither Obama nor his allies in the Senate, which the Democrats control, have passed a budget in three years. Harper is also outshining Obama when it comes to foreign policy. The Obama administration’s first reaction to the attack on their embassy in Cairo was to apologize for any hurt feelings Muslims may have had to a made-in-California movie with a negative portrayal of Mohammed. Even after the White House backed away from that, Obama gave the idea that the riots sweeping the region are driven by a YouTube video few had seen, and he did so as he read a statement on the death of Chris Stevens, the U.S. ambassador to Libya. Obama has been effusive about the so-called Arab Spring from the get-go and thought his good wishes could sweep away dictators and bring about liberal democracies in a region that has never experienced that form of government. Comparing the two men based on their actions and not their words can only lead to the conclusion that when Harper and Obama meet, Harper is the adult in the room. In their formative years, most from 10-18 – they rose in a different world; the post-Cold War world. No 30-minutes from nuclear annihilation, no existential threat to their existence. Our guest for the full hour this Sunday, September 16th from 5-6pm EST to discus the journey, acts, and experiences of the United States Naval Academy Class of 2002 will be Graham Plaster, a member of the class of 2002 and one of the editors of the book - In the Shadow of Greatness: Voices of Leadership, Sacrifice, and Service from America's Longest War . Admiral Harvey retired today. 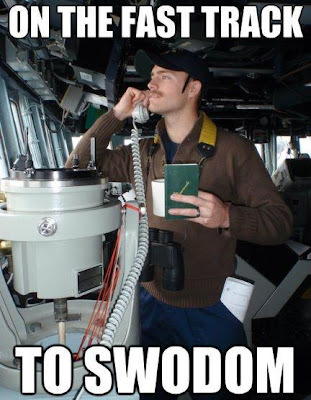 Last week he sent out an email to the other SWO Flag Officers. In many respects, it is positively Salamanderesque. For those who have been putting up the good fight on the front porch over the years, you owe it to yourself to read and ponder. I've put my thoughts up over at USNIBlog. Stop on over and let me know your thoughts. Movie time for FbF. One of the Phibian Phavorites ... especially when pondering damage control. That part of naval warfare has not changed. If you want to get to the meaty bits ... go right for Part 4 & 5. BEHOLD THE BATTLE OF THE RIVER PLATE. The Japanese media reported that China dispatched four maritime ships toward the islands after the Japanese government purchased three of the disputed islands on September 11 for approximately $26 million from a private Japanese owner. China says it is an attempt to “steal its property” and they are ready to “assert” the country’s sovereignty over the islands. On Thursday, two ships from the Taiwanese coast guard departed for the surrounding waters of the disputed Senkaku/Diaoyu Islands in the East China Sea. As the rapidly escalating standoff between Japan and China continues, the Taiwanese coast guard has said it is sending the ships to the islands, called Tiaoyutai in Taiwan, in order to offer protection for the nation’s fishermen. 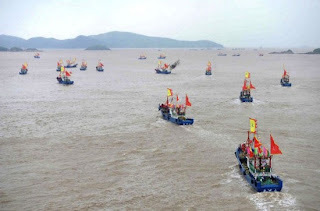 It’s not really clear what would possess fishermen of any country to want to go near the diplomatic mess of a territory, but Taiwan’s ships will surely be encountering the two Chinese patrol ships that arrived earlier this week. There you go. 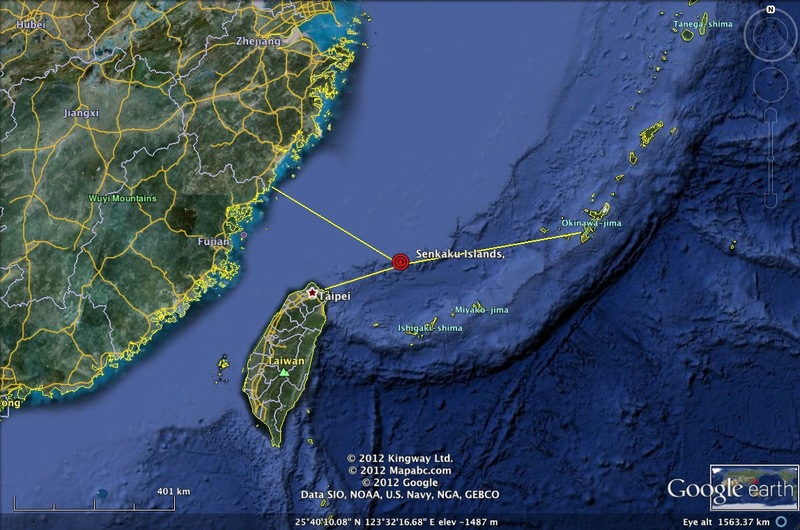 Something to watch for something stupid 100nm from Taiwan, 180nm from the PRC, and 225nm of Okinawa. Hey look - we now hand out MSM's for spending your time on active duty feeding your desire to focus on La Raza, por La Raza, siempre La Raza. 366 COMPLETED APPLICATIONS, AND THE SELECTION OF 34 NEW DIRECT COMMISSION LAWYERS. OF THE NEWLY SELECTED DIRECT COMMISSION LAWYERS WHO ENTERED THE CG DURING HER TENURE, 41 PERCENT WERE UNDERREPRESENTED MINORITIES, 41 PERCENT WERE FEMALE, AND 17 PERCENT WERE LATINAS. LCDR RODRIGUEZS NUMEROUS OUTREACH INITIATIVES ENSURED ROBUST RECRUITMENT AND RETENTION OF DIVERSE ATTORNEYS AND INTERNS. 4. AN ONGOING HISTORY PROJECT INITIATED BY LCDR RODRIGUEZ IN CONJUNCTION WITH THE CG HISTORIAN IDENTIFIED PREVIOUSLY UNRECOGNIZED ACHIEVEMENTS IN THE CG LEGAL PROGRAM BY AFRICAN AMERICANS, HISPANICS, LATINAS, AND OTHERS. THESE FIRSTS WILL NOW BE RECORDED IN CG HISTORICAL ACCOUNTS. There used to be a time in the maritime services where we frowned upon those who in their official capacity showed preferential treatment towards one ethnic group or the other - or executed their duties towards one ethnic group while ignoring another. That used to define bigotry and exclusion. Now we reward that behavior. This is not the position of the Chairman of the Joint Chiefs of Staff to engage with a civilian INCONUS. 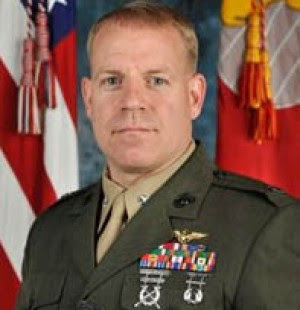 General Martin Dempsey, the chairman of the U.S. military's Joint Chiefs of Staff, spoke with Pastor Terry Jones by phone on Wednesday and asked him to withdraw his support for a film whose portrayal of the Prophet Mohammad has sparked violent protests - including one that ended with the death of America's envoy to Libya. "In the brief call, Gen. Dempsey expressed his concerns over the nature of the film, the tensions it will inflame and the violence it will cause," Dempsey's spokesman, Colonel Dave Lapan, told Reuters. Do we really want active duty officers to encourage citizens to surrender or withdraw their Constitutional rights because foreign nationals (who are our enemy) don't like them? Is that in the spirit of "... support and defend the Constitution against all enemies, both foreign and domestic?" I have no use for Terry Jones - but having an Army General, in his official capacity, in uniform, pressuring a tax payer to surrender Constitutional rights, is not a nation I think I live in. General Dempsey, General Casey (5-min mark) needs a bowling partner, give him a call. So, when it comes to economic issues and the impact of our national debt on national security; whose opinion holds more water for you? “Attempting to use U.S. Treasury securities as a coercive tool would have limited effect and likely would do more harm to China than to the United States,” according to the report, which was sent to congressional committees by Defense Secretary Leon Panetta. “As the threat is not credible and the effect would be limited even if carried out, it does not offer China deterrence options” in a diplomatic, economic or military situation, the Pentagon found. Economic security is national security - history makes that clear. History also makes it clear that a nation that holds another nation's debt more often than not calls the shots, as that is the power position. Economics matters. For the record - the Pentagon's report is below; written by the same national security team that brought you this. No - this is not the DuffleBlog. You can't even say it sober. 1. Purpose. To approve establishment of Commander, Navy Expeditionary Combat Command Pacific (COMNAVEXPDCMBTCOMPAC), modification of Commander, First Naval Construction Division Pacific (FIRST NCD PACIFIC), renaming of Commander, First Naval Construction Division/Naval Construction Forces Command (COMFIRSTNCD/COMNAVCONFORCOM), and modification of Commander, Coastal Riverine Group One (CORIVGRU ONE) and Commander, Explosive Ordnance Disposal Group One (COMEODGRU ONE) per reference (a). Character, it can be argued, cannot be built; it can only be demonstrated. We can find clear examples of individual character. 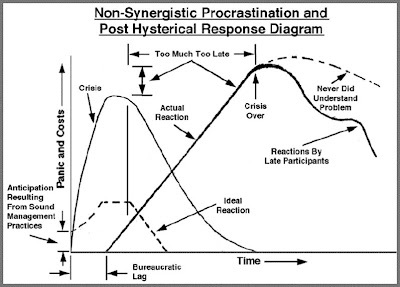 Places where two roughly similar people, of similar background, at a similar place and time, are faced with a similar challenge react in different ways. The harder the challenge, the more the clear distinction of character it brings out. The greatest challenges are often those that you bring on yourself through you own bad decisions. Those that challenge every person's weak spot - their ego. The desire to avoid shame, ridicule, or having to publicly be held to account. .... after he and three teammates he declined to name were found to be in violation of academy regulations that prevent midshipmen from having any type of off-campus housing other than to stay with a guest family. Academy officials learned about the house after a party was held there the night of the spring football game in mid-April. "We knew what we were getting ourselves into, and we knew we were putting ourselves at risk," (Jabaree) Tuani said recently. "We didn't think anything like this was going to happen. We thought it was going to be a low-key, under-the-radar-type deal where we could just relax." We'll get back to that in a minute. Remember our friend Proctor? Kriss Proctor, Navy’s starting quarterback last season, will not graduate from the Naval Academy. Proctor has submitted his resignation from the academy, a school spokesman confirmed to The Capital. An inside source at the academy with knowledge of the situation told The Capital that Proctor’s resignation comes on the heels of an alleged honor code violation. Proctor resigned from the academy around the same time, two months after he said he was caught cheating on a thermodynamics quiz. Proctor is now enrolled in classes for the fall semester at Boise State, where he is working as an unpaid intern for the school's No. 24-ranked football team. 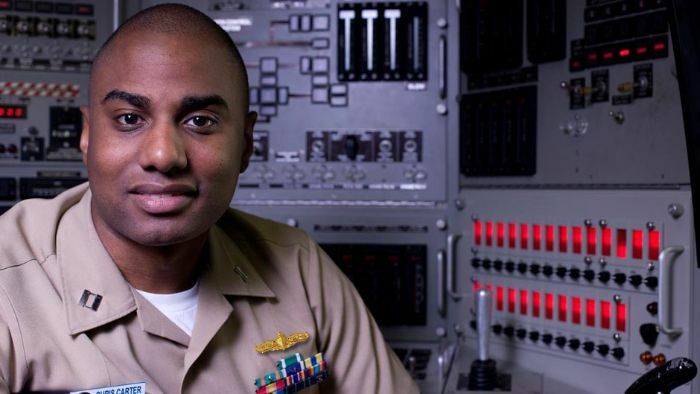 Though on the brink of graduation, Proctor said he chose to resign from the academy rather than fight the honor-code violation because he wanted to start working toward a career as a college football coach and didn't want to become a Navy pilot. Proctor will have to repay the Navy the cost of his college education, approximately $160,000. Tuani graduated Friday, three months after the rest of the senior class, four months after he and three teammates he declined to name were found to be in violation of academy regulations that prevent midshipmen from having any type of off-campus housing other than to stay with a guest family. When he learned he was not going to be able to graduate with the rest of his class, Tuani said, he was "very scared" he had risked losing his college degree and a chance at a military career for what he called "a rash decision." Tuani thought there was a "high chance" he was going to be dismissed from the academy. Tuani, who is expecting to be sent to Japan shortly to begin officer training in surface warfare, said he chose to take his punishment because he didn't want to let down his family and the coaches who supported him during the remediation process and eventually came to his graduation. The punishment included Tuani being restricted to the academy grounds for 45 days, marching in full uniform at 5:30 a.m. several days a week and then spending three weeks with the fleet this summer. "I had to prove myself worthy again of being an officer," Tuani said. "Being an officer is all about decision-making, and our decision-making was in question." Both of these young men have been damaged by the Naval Academy's misplaced focus in D1 football and all the moral compromises that go with it. That is not a statement grounded in reality. Houses such as this have been an open secret for awhile. If a NROTC retired CDR has known about them, it beggars the imagination to believe that Navy coach Ken Niumatalolo or Navy athletic director Chet Gladchuk did not know about the party houses. Ensign Tuani deserves a nod from everyone involved. BZ to him for stepping up as a man, and by taking his punishment like such - he will be a better leader for it. The humility it brought him will refine his good character already demonstrated. I wish him the best in his career. Now that you are feeling warm and fuzzy, let's go back to Gladchuck and Proctor. ... Gladchuk wrote a glowing recommendation to a number of schools on the former quarterback's behalf, saying that Proctor had "developed into a well-rounded, impressive young man" who "can continue to be a role model to those around him." Gladchuk concluded by writing, "He leaves the Academy with our very best wishes and every expectation that he will continue to be highly successful in the future as a well-educated young man with an indisputable competitive spirit. He is a winner." Is that the right attitude to come from a high official at the U.S. Naval Academy about a man who left in dishonor in the middle of a cheating scandal? As for Proctor - who did not go to Annapolis so Proctor could? Is it any surprise this type of person quit? "Ever since my sophomore or junior year in high school, I have known I want to be around football. I always thought about after college football, I wanted to get into coaching. "During my junior year [at Navy], I was selected to be an NFO [Naval Flight Officer], which requires seven to 10 years of commitment. I came to grips with the fact that maybe that I wouldn't start coaching until I was 30. I was kind of OK with that at the time, we were in the middle of football and you're not thinking long-term." "I wouldn't trade my experience at the academy for the world. I had four years of meeting some of the greatest people in this country and building relationships with them that I will have the rest of my life. I grew up so much as a person, physically, mentally, all of that stuff. I got to experience a lot of things that normal college students don't get to experience. I got a top-notch education, not just academically, but in character and integrity. I feel nothing but blessed." "...all that stuff." Indeed Mr. Proctor, indeed. Do you actually believe that - or are you making excuses for running away from facing your bad decisions? Either way, you never belonged at Annapolis, and the Fleet is better for you leading no one but ... whoever an unpaid coach intern leads in Idaho. I just feel sorry for the person whose slot you took at Annapolis. "They're human. We all make mistakes. The standard is high here, and nobody makes any apologies for that. We're trying to play football at the highest level and compete, and the administrators, professors and company officers are trying to prepare these young men and women to be officers in the military. If you don't live up to the standard, there are consequences. "I just feel grateful that Jabaree stayed the course, he's going to graduate [and] I think he's a wonderful young man. ... He made a bad decision, he suffered the consequence and the academy was going to push him to see if he really wanted to be here. They said, 'Here are some priorities, here are some steps you have to do and any missteps you're gone.' Kriss got the same choices. He decided to go a different route. I wish he would [have] stayed and graduated." Yes coach, there is a conflict between trying to compete at D1 football and preparing men and women to be officers in the military. When one is in conflict with the other - then what is the priority? People are also human - and by the permissive attitude towards football players, their human weakness if enabled. There are more compromises out there than just party houses. Before the next Tuani is led in to shoal water - ponder that a bit. The leadership at Annapolis can fix it, if - and this is a big if - they are willing to protect their institution from NAAA and those who are more interested in the performance of a sports team than they are the performance of tomorrow's junior officers.